Want to promote the power and utility of community newspapers? Then consider running the small space filler ads below—available in a variety of sizes for print only. All ads are provided in PDF file formats. If you have any questions, please contact Kelly Levson, Director of Marketing and Research, at klevson@newsmediacanada.ca. 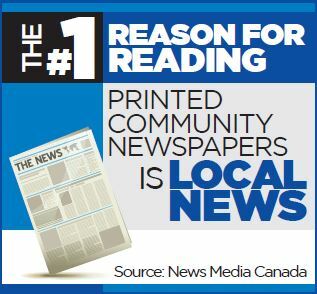 The #1 reason for reading printed community newspapers is local news. Community newspaper readers notice the automotive ads in their printed newspaper. Community newspapers reach more than 8 out of 10 Canadians. 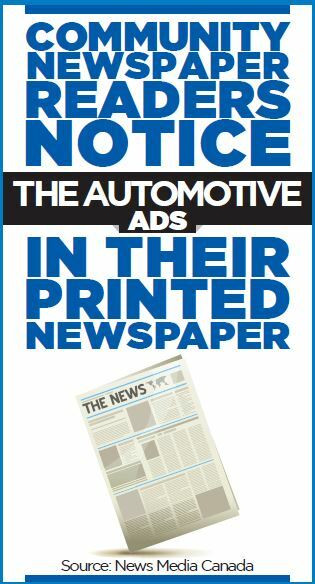 Readers choose printed community newspapers for everything LOCAL as well as ADVERTISING!